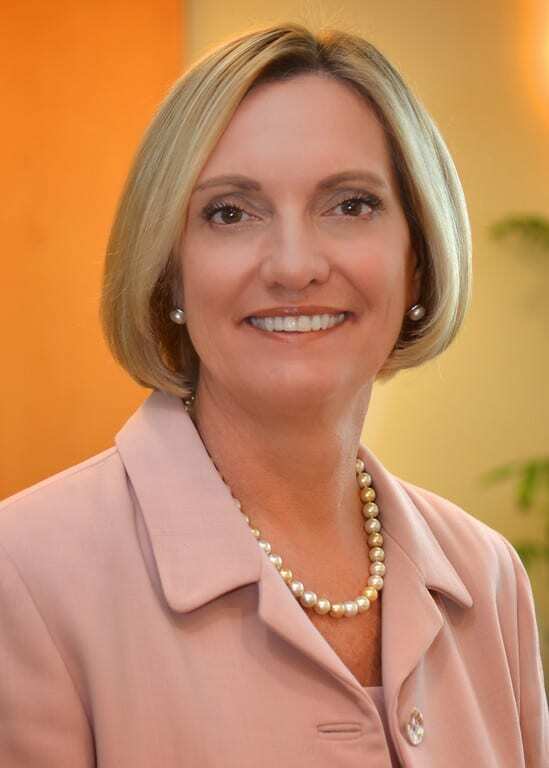 Alumna Annette Walker ’79 is president of strategy at Providence St. Joseph Health. “In everything you do, put your whole self into the effort,” says Loyola Marymount University alumna Annette Walker ’79. “That’s the way I feel about my career, my family and my spiritual life.” Walker is a mother of six, grandparent of 10 and president of strategy for Providence St. Joseph Health, the third-largest health care provider in the nation, and chief executive of St. Joseph Health. A mentor to many, Walker is brimming with advice for students, not only about achieving a successful career, but also a successful life. Many of the life lessons she espouses were learned at LMU, where she earned her bachelor’s degree in biology. Walker entered LMU with plans to become a physician. However, motherhood intervened her senior year. Upon graduation, she altered her medical school plans and became a clinical lab scientist – an unconventional, but practical, beginning for someone who would later become the strategist for a multi-billion dollar health care company. Her advice for ensuring a long and satisfying career? “I never said ‘no’ to an opportunity to learn something new. Also, remember that your life partner is the most important choice you’ll ever make. It’s a choice that affects so many other aspects of life. My husband is the best thing LMU gave me,” she said. In fact, Charles Walker ’78 was the first person she met on campus. He helped her move in and there was an immediate connection.